Whenever you think of Rajasthan, the major attractions of Jaipur, Jodhpur, Udaipur and Jaisalmer come in your mind. The original vibe of this royal state often gets shadowed under the pressure of tourist crowd. 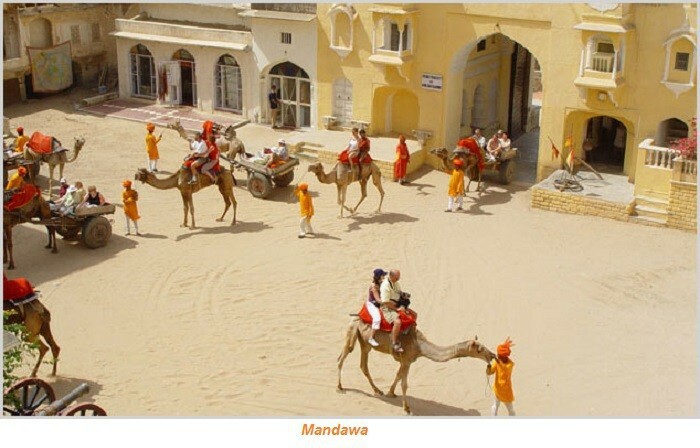 Hence if you wish to unravel the real beauty of the deserts, explore the hidden gems of Rajasthan. The small town of Bundi is far from the maddening crowd, where elders chat at the tea stalls and children are found playing at the backyards; here life is very much Rajasthan without any musk. 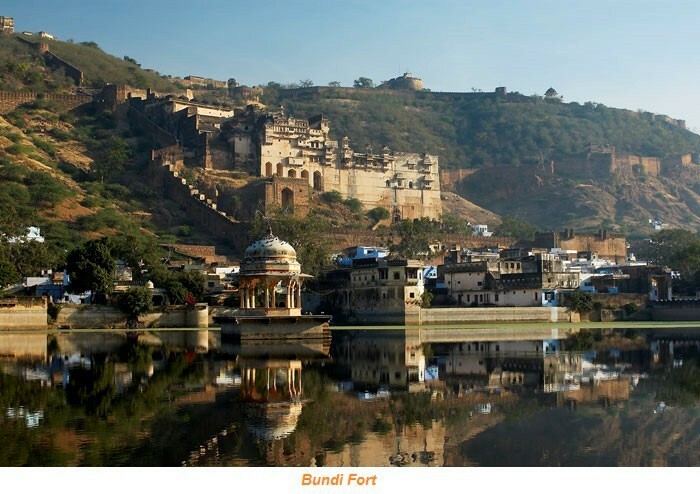 The mighty Taragarh Fort of Bundi stands as if still safeguarding the city as it used to do a century back. The marble thrones, the rich miniature paintings, majestic entrances and pillars make this fort one of the important landmarks of Rajasthan Travel. 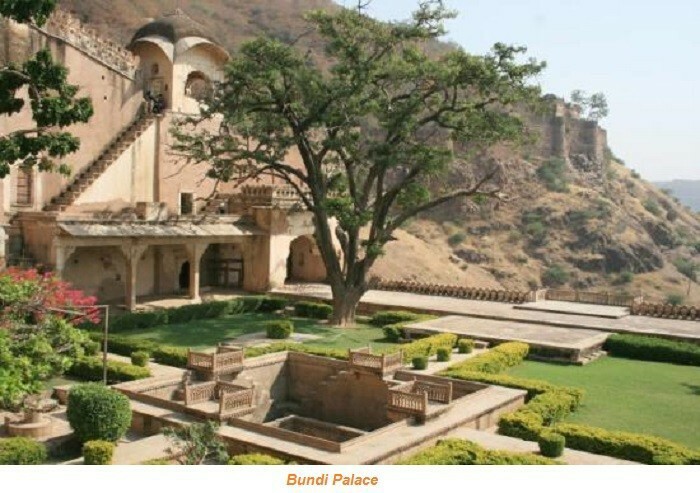 The Bundi Palace narrates the chronicles of royal Rajasthan. Every wall, entrance and marble passages of the old palace are adorned with 16th century frescoes, which exhibit marching soldiers, dancing girls, duck ponds and mythological figures. Tourists can relax at the Bundi Villas; the pillars with wooden carvings, the embroidered bed sheets and marble wrapped washrooms take you 300 years back to royal life. Chitchat with the locals at the terrace, relishing local delicacies, like the chilli pakora. Leopards are considered sly and man eaters except at this part of Rajasthan. Almost 18 in number, surprisingly these carnivorous animals live near villages and villagers are often seen neglecting their presence. 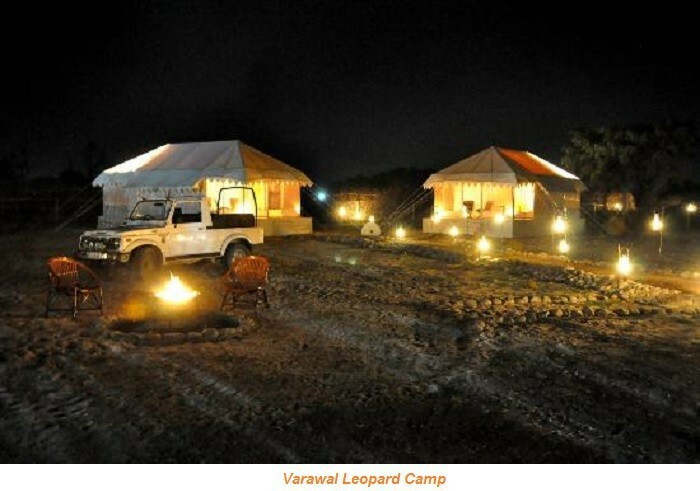 Witness the relaxed mood of the leopards here; your journey on a hot afternoon through acacia jungles and dry riverbeds is a success after such an experience. Nestled between the Aravallis, Narlai, Pali lies at the foothills of a hillock, which is distinguished with a large stone elephant. Spot chital deer and leopards at the huge jungle lying in front of the villa. 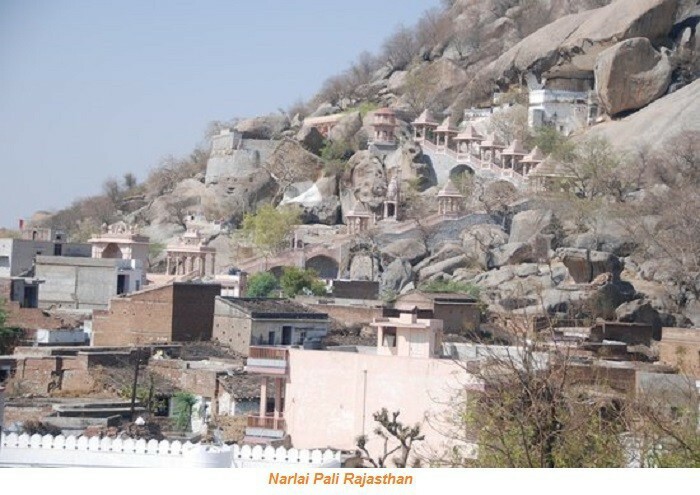 The city is dotted with several Jain and Hindu temples, like the Adinath and Shiva temples. Visit these temples to check out the mural work. 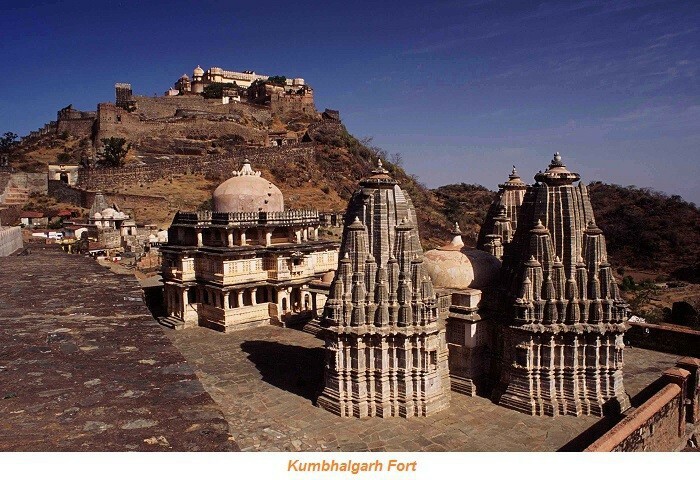 Be at Kumbhalgarh Fort to view the birthplace of the Rajput hero, Maharana Pratap. This 15th century fort is safeguarded with 13 mountain peaks and has seven gates to enter. The 36 km wall of the fort with 15 feet thickness is an enormous creation; this is the longest wall after the wall of China. Drive through the Kumbhalgarh Wildlife Sanctuary to meet some of the endangered species of panthers, besides leopards, hyenas, wolves, toddy cats, bears and crocodiles. Also known as the Open Air Art Gallery, the city of Mandawa houses some of the most lavish havelis of Rajasthan. Every villa is exquisitely adorned with themes which narrate the religious and social life of the bygone era. The Mandawa Castle is charming with its marble structure, graceful with its blue and red hue. 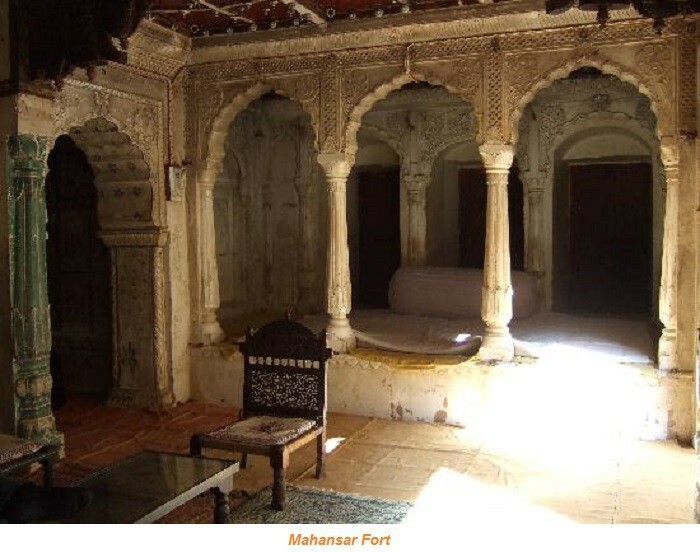 Antique furniture and frescoes of this castle offers a glimpse of a Rajput monarch’s lifestyle. The havellis of Mahansar are epitome of luxury living. Popularly known as the Sone- Chandi ki Dukan, these opulent residences are adorned with golden leaf paintings. The three arched ceilings of the villas portray scenes from the Great Indian epic of Ramayana and deities of Lord Vishnu and Krishna. You will be awestruck with the vibrant meenakari artwork exhibited at these palatial houses. Last but not the least; spend some time exploring the massive Thar Desert on a camel. Trip to the unseen Rajasthan is going to be a non-forgettable journey of your life; lot different from any other Rajasthan Tour.